Stacey Weisman from the Book This Project makes photo books for a living and offers several workshops teaching others how to make their own photo books as well. Stacey has some tips on how to select photos for a great photo book. We are fresh into a new year and many reflect on the year that just ended by looking through photos of family vacations, goofy moments, and selfies from days gone by. For some, those photos will never be looked at again as they are deleted from phones, memory cards, and hard drives to make room for new captures from the year ahead. 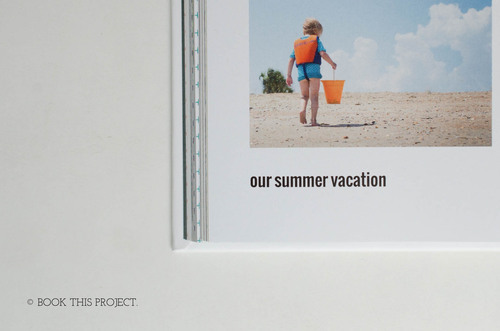 Before those memories disappear forever, you may want to take the time to create a photobook. Although it may seem overwhelming at first, with a little guidance it's possible to make a photobook you will treasure for years in just a few hours. 1) Select for the Story. Choose your story and find photos that show the various aspects of the story whether it's a year, day, trip, vacation or event -- almost as if you're telling a story through your photos. When selecting photos from a day trip, for example, include photos of who was there, where they were, what they did and a favorite detail. Avoid multiple photos that are sharing the exact same part of the story. For example, if you want to show all of the people that were there together, you only need one group photo. 2) Find Photos that Convey Emotion. If a photo accurately depicts the emotion of a moment, select this one and only photo and skip the rest. Resist the urge to include supporting photos because you think it's necessary - they may wind up diluting the power of a singular photo. One strong photo will remind you of the details from this event that really matter. 3) Select Photos with a Similar Crop, Orientation, Style and Content. For a nice layout, select photos with a similar crop (particularly the horizon line) and orientation (portrait or landscape). Another way to have a consistent layout is to find photos that match in editing style and content within the frame. For example, if you want to include a black and white photo, only select other black and white photos from the same event. Sing these techniques simplify the design process and present a more unified look on the page. Once you finish your 2015 book, you may want to be proactive about taking photos in 2016 that will work well in a photobook at the end of 2016. 1) Be consistent with your shooting and take a lot of pictures. There will be some months where you will take more photos, such as summer months with vacation and outdoor activities. However, try to take at least 50-80 photos during each month in order to have a good representation of your year. 2) Think about what photos you want to include for your photo book throughout the year. If there is a story you will want to include, whether it's a birthday party or a family vacation, be sure to take pictures that tell the story. 3) Keep in mind what type of photo you would like for your photo book cover. If you want a group photo of your entire family or of all the kids, attempt to take several throughout the year so you have a couple of options to select from as you're assembling your book. Even though it sounds basic, it can be challenging to remember to take a family photo with everyone looking at the camera at the exact same time. By setting this intention or goal for your book, you'll be more likely to take photos you need during the year. By this point you may think you have enough to get started or you may think that you do not want to tackle the task of designing an album or that you want to know more. If you still think that designing an album is too much work but still would like a nice, finished product you have a couple of options. First is to use a custom book designer such as the Book This Project. Another option is to send our photos to a service like Tweed Wolf that will go through your photos for you and deliver a complete book. 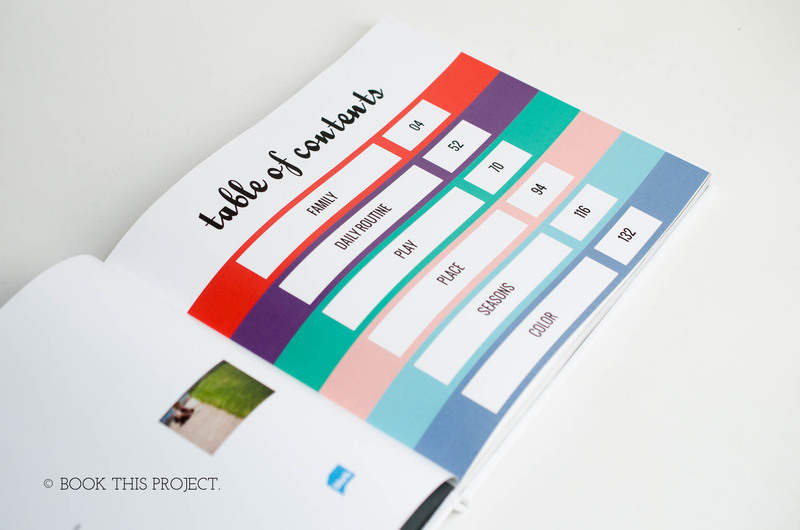 If you would like to design your own book but need some help, the Book This Project offers different types of workshops and templates to help get your started. 1) Teach others something you already know. For example, Trisha Hughes of Eat Your Beets created an e-book called Eat Pretty Things describing her journey towards becoming a food photographer and teaching others how to take beautiful photos. 2) Create a personalized cookbook with your family's recipes. Among other themes, Mixbook has a photobook template just for this purpose! 3) Collaborate with others to make a gift for a special occasion, such as graduation, a milestone birthday, or anniversary. This is also a great idea for someone going through a hard time, such as loss of a loved one or serious illness. Collect a story and photo from friends and family and make a book with a contribution from different people on each page. If you want to have more control over the process and learn more about designing photobooks, CreativeLive offers several online classes geared toward photo album design. Jared Platt's Storytelling and Album design goes in-depth into how to create a photobook that tells a compelling story and explains how to create an album in Lightroom while Platt's Making Books in Lightroom focuses on the nuts-and-bolts of using the Books module in Lightroom to do everything from the basics to creating a custom layout with text. 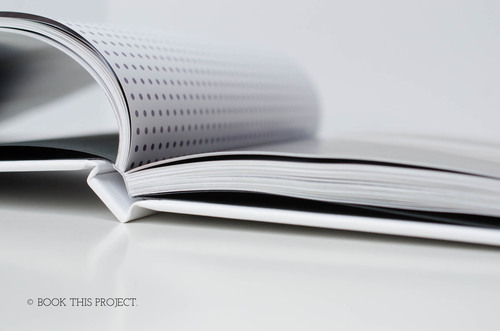 Khara Plicanic's How to Create Photobooks class provides a good overview of the types of photobook software available.